Lego Friends: You're invited to a Pool Party! 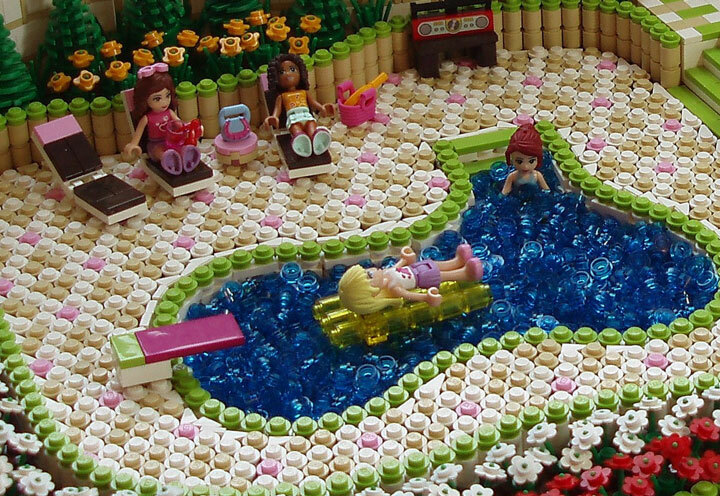 It looks like the Lego Friends are having a Pool Party, and you’re invited. The patterns and colors of this MOC are crazy insane. Every single piece has been carefully placed. 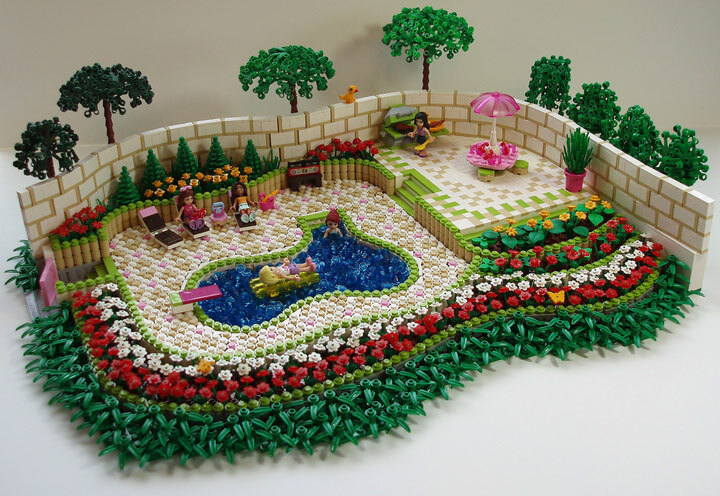 The pool pavement, the tiled BBQ area, the beautiful trees and greenery, and the curved wall, everything is made out of Lego pieces. Some of the details can almost get lost in the scene. There are a couple of butterflies enjoying their afternoon. A lazy bird perched on the wall. And, a Lego boom box! There are more Lego Friends posts on LegoGenre, check them out in the Friends category!